I am mainly a card maker but like to play around with paper craft and thought I would share ideas with other bloggers. I am a mum of two lovely children who both tower above me now, and have been married since 1992, to my long suffering hubby who I met when I was 16. We live in Kent, England and enjoy lots of walks in the countryside and along the beaches. I enjoy card making and have been doing so since 2004, I am not an artistic person and cannot draw or paint a thing but I do enjoy crafting. I am dyslexic and you will have to put up with incorrect spelling and sometimes things that do not make sense. I am the proud owner of a 750cc Yamaha Virago lowrider motorbike which I love to takeout complete with a few skulls. Including one that clings onto the front headlight and is nicknamed 'Bones'. 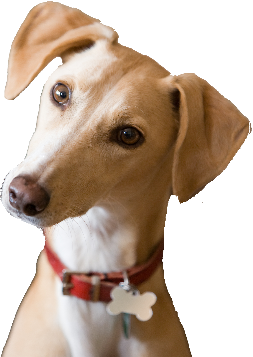 My Blog is named after my lurcher who was called Stig - his full name was Stig the Dog that was dumped! He was totally mad and everyone always thought he was a puppy, he sadly died after a short illness in 2011. 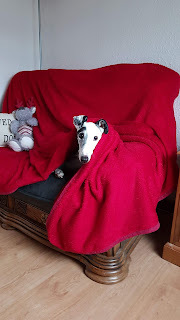 We now have Stanley a greyhound who is equally stupid - I am starting to think it might be something to do with the owner! !